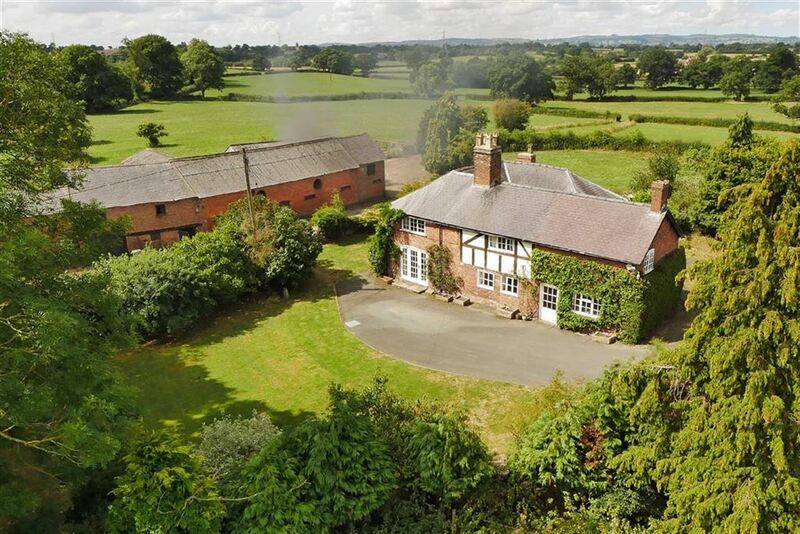 A unique opportunity to purchase a well equipped and superbly situated small farm. 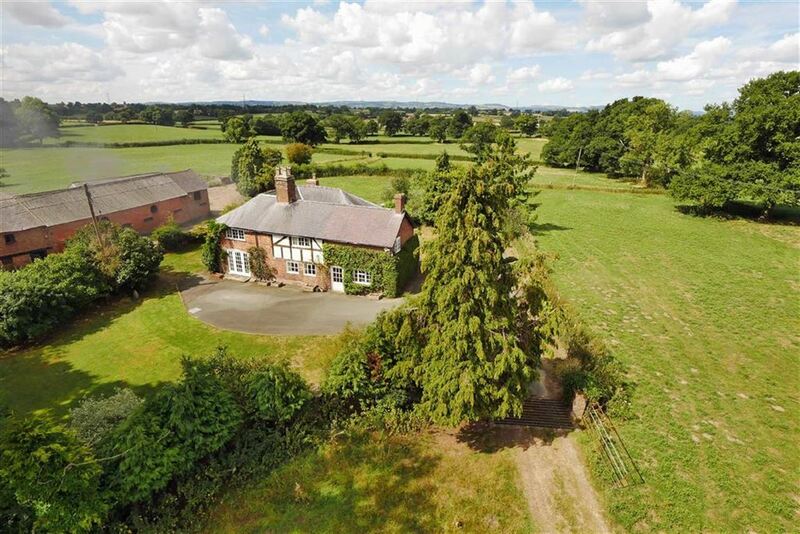 Halls are delighted with instructions to offer Dudleston Grove at Dudleston Heath, near Ellesmere for sale by private treaty. Dudleston Grove has been in the Morgan family for over 100 years and is a most individual and superbly situated small farm, comprising a handsome double fronted period residence of great charm and character, together with a separate range of traditional farm buildings which have the benefit of Planning Permission for conversion in to two residential units, set in nearly 80 acres of first class surrounding agricultural farmland. 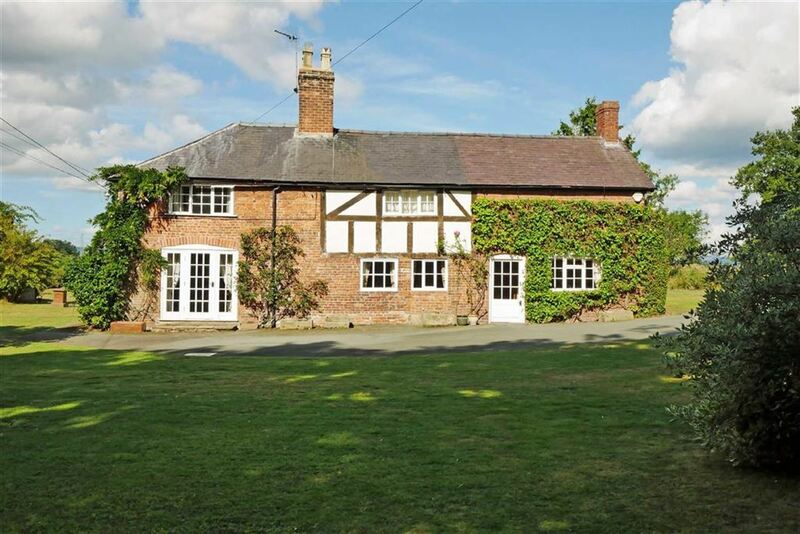 The property is situated in a super unspoilt rural location, yet is still convenient to the nearby villages of Dudleston Heath and St Martins, which have good day to day local amenities and is, also, within easy motoring distance of the larger towns of Ellesmere (3 miles) and Oswestry (9 miles), both of which, have a wider range of amenities of all kinds. For those looking to commute, the county towns of Shrewsbury (20 miles) and Chester (27 miles) are, also, easily reached via the A5. The handsome farmhouse offers spacious and versatile internal accommodation of great charm and character which retains many original features and offers great potential for modernisation and refurbishment in to a first class residence of great style.Outside, there are attractive surrounding gardens, predominantly down to lawns, together with a tarmacadam forecourt area which has room for parking and manoeuvring a good number of vehicles. 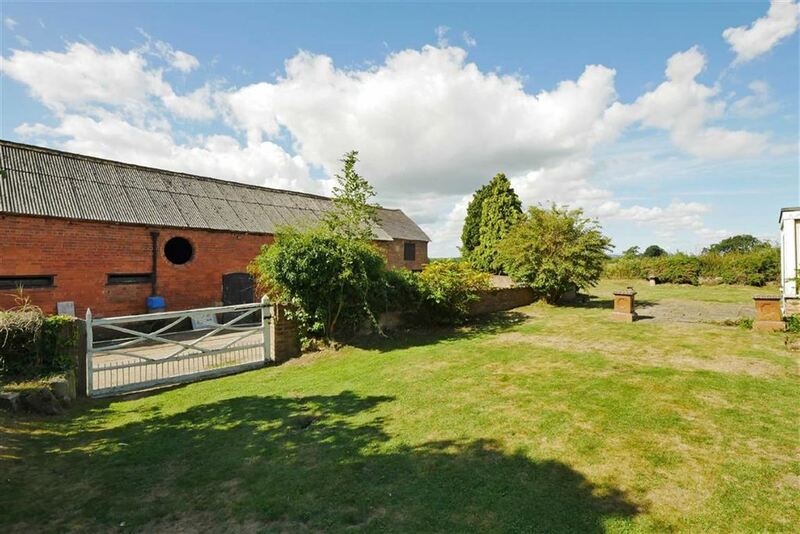 The farm buildings are worthy of note and are situated a short distance from the residence but have a separate vehicular access. 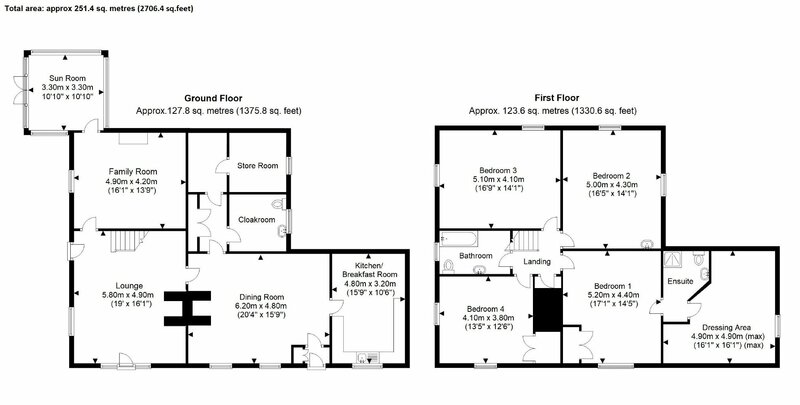 They have full Planning Permission for conversion in to two residential dwellings. 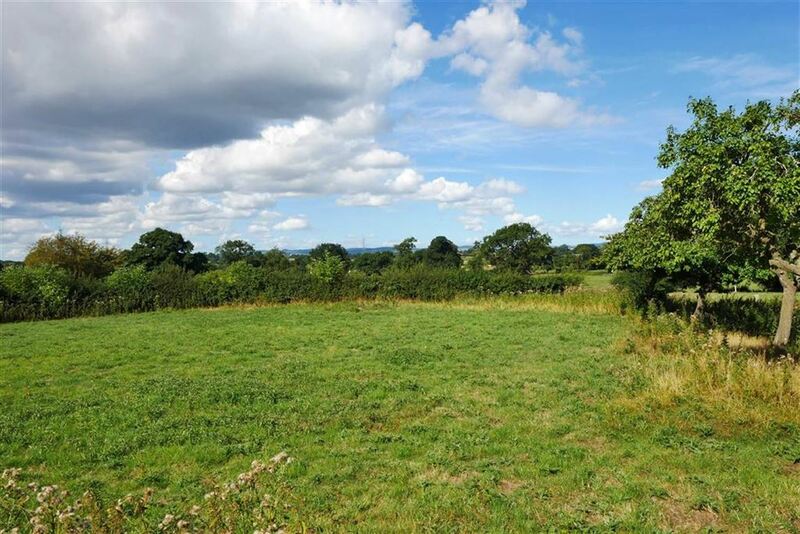 The land is a major feature of the property and lies within a ring fence, principally to the side and rear of the Homestead, retained in convenient sized enclosures of grass, ideal for the grazing of all kinds of livestock, particularly horses. The property extends, in all, to nearly 80 acres, or thereabouts. It is most unusual for such a well situated and well appointed small farm, such as this, to become available for purchase in this area, and Halls, the sole selling agents, strongly recommend an immediate inspection to appreciate its unique nature, location and the huge potential that it has to offer. 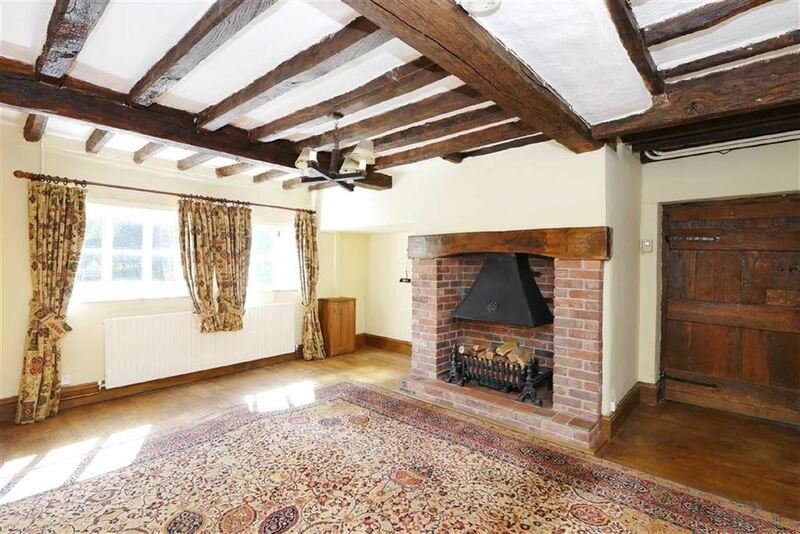 The farmhouse is approached off the council maintained country lane over a cattle grid, then over a private hardcored drive with further cattle grid on to a tarmacadam forecourt area, which leads to two sides of the House and has room for parking and manoeuvring a good number of vehicles. 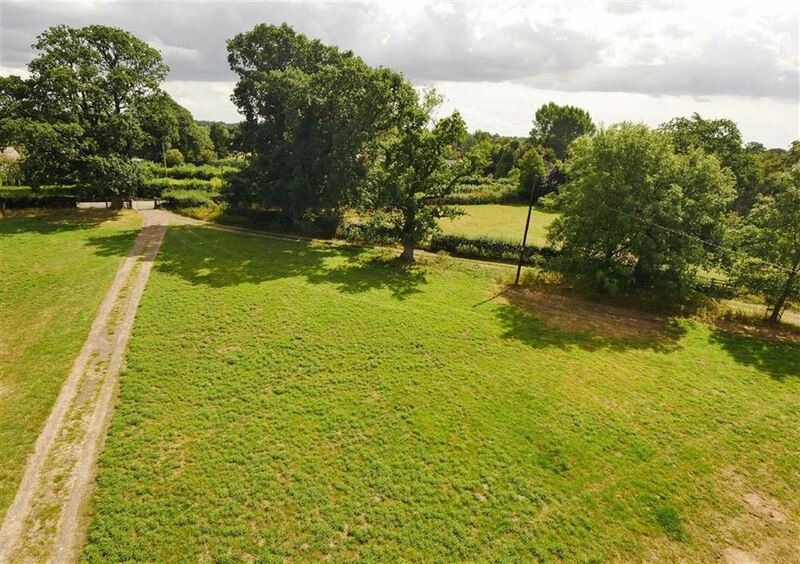 The gardens are an attractive feature of the property and briefly comprise a mature shaped lawn to the front bordered by maturing hedging and trees for privacy. The lawn leads alongside the house where there is a paved patio terrace making a lovely setting for outside dining/entertaining/bbqs etc. This leads on, in turn, to a further shaped lawn flanked by a raised floral garden which includes an ALUMINIUM FRAMED GREENHOUSE and TIMBER GARDEN SHED. 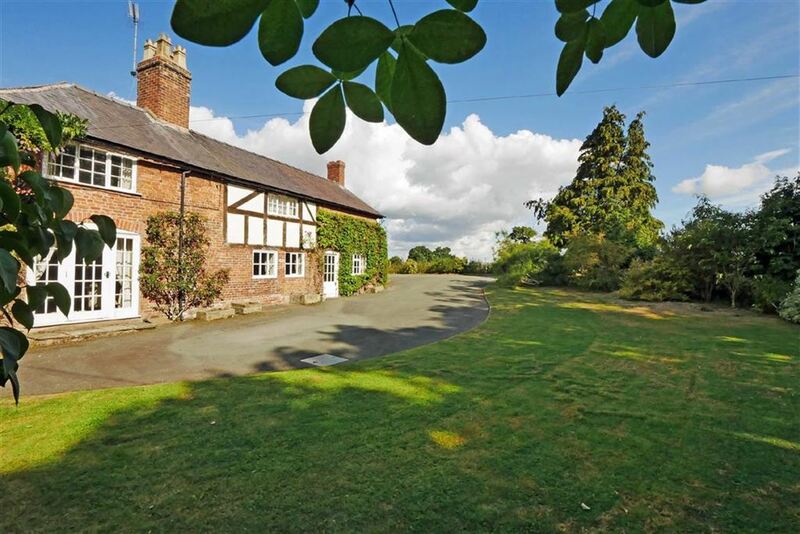 Dudleston Grove is situated in a peaceful rural location, just outside the village of Dudleston Heath, approximately 3 miles from the well known north Shropshire Lakeland town of Ellesmere, which has an excellent range of local shopping, recreational and educational facilities. 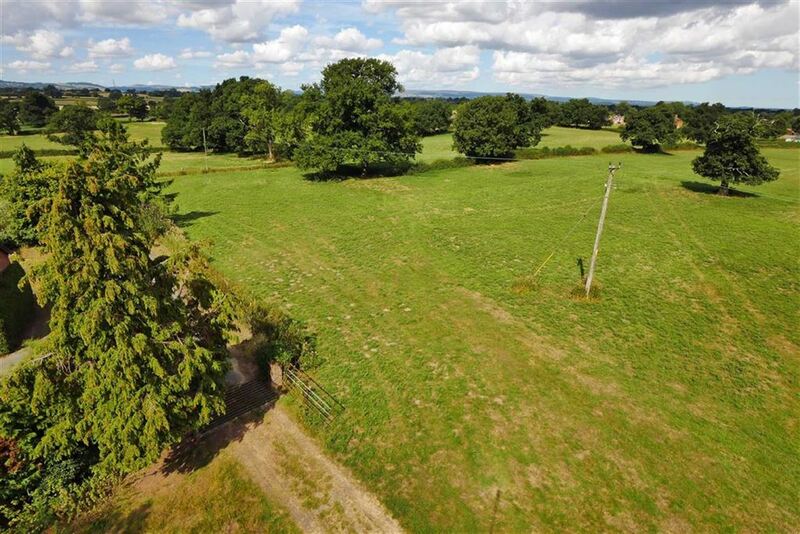 The town is, also, within easy motoring distance of the larger centres of Oswestry (9 miles) and the county towns of Shrewsbury (20 miles) and Chester (27 miles), all of which, have a more comprehensive range of amenities of all kinds. There are a wide range of recreational activities available in the area, to include Golf Courses at Oswestry, Chirk, Mile End and The Brow. Regular horse racing meetings are held at Bangor-on-Dee and Chester. The area also boasts a wide variety of dining pubs and restaurants. There is an excellent range of local state schools together with well known private senior schools to include Shrewsbury School, Ellesmere College, Moreton Hall and the King's and Queen's Schools in Chester. Principally of solid brickwork elevations under a part slated and part corrugated asbestos roof with a single storey brick and corrugated sheet roofed FORMER SHIPPON to one end. Open fronted, principally of corrugated iron construction, with an attached brick and corrugated asbestos roofed FORMER SHIPPON to one end. Principally of block, concrete and corrugated asbestos roofed construction. Principally of block, timber and corrugated asbestos roofed construction, divided in to 3 loose boxes. The land is a major feature of Dudleston Grove and lies within a ring fence, predominantly to the side and rear of the Homestead. It is retained in convenient sized enclosures of permanent pasture, providing excellent grazing and mowing opportunities. 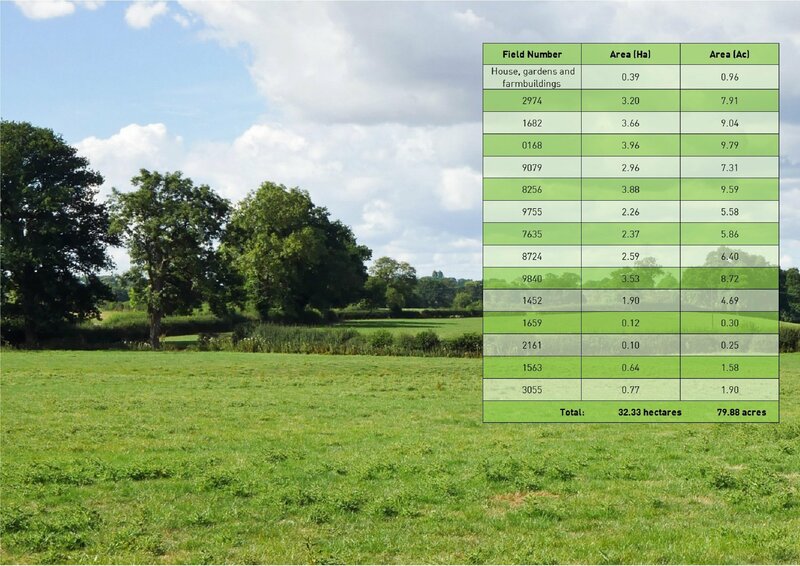 It is predominantly level, fertile and versatile, ideal for continuation of grass production or could also be used for arable production. 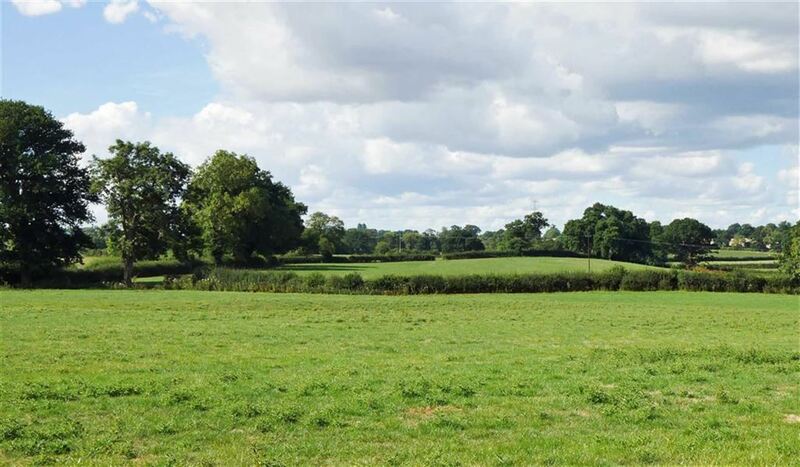 The land is ideal for the grazing of all kinds of livestock, if required, particularly horses and extends,in all, to nearly 80 acres, or thereabouts. 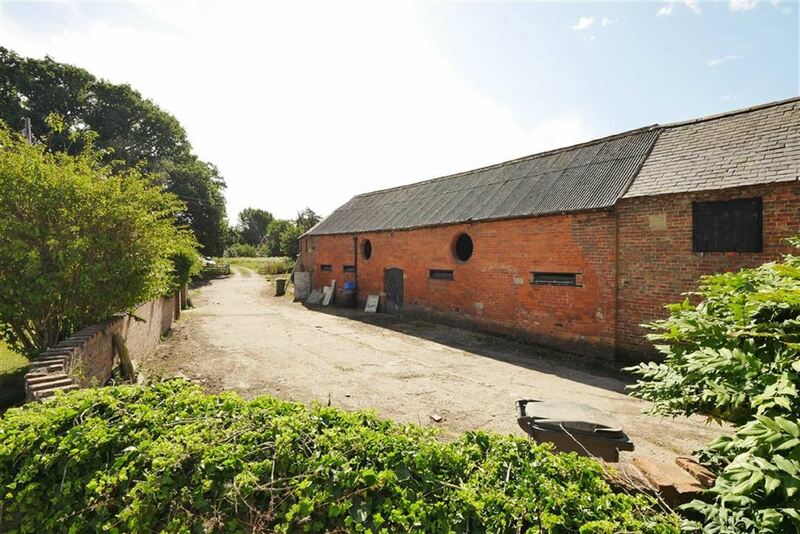 We understand that Full Planning Permission was granted on the farm buildings on 15th January 2009 for proposed conversion of two agricultural buildings in to two dwellings with associated access and amenity area', the application number was 08/02029/FUL. 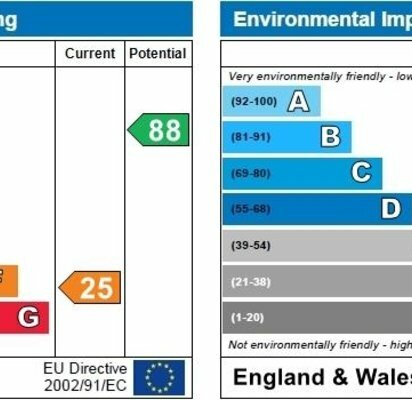 Furthermore, a completion certificate was provided by Shropshire Council Building Control on 24th January 2012, detailing that the installation of a septic tank, spreader system and drainrun had been inspected'. The application number for this was 11/04653/OTHBNO. 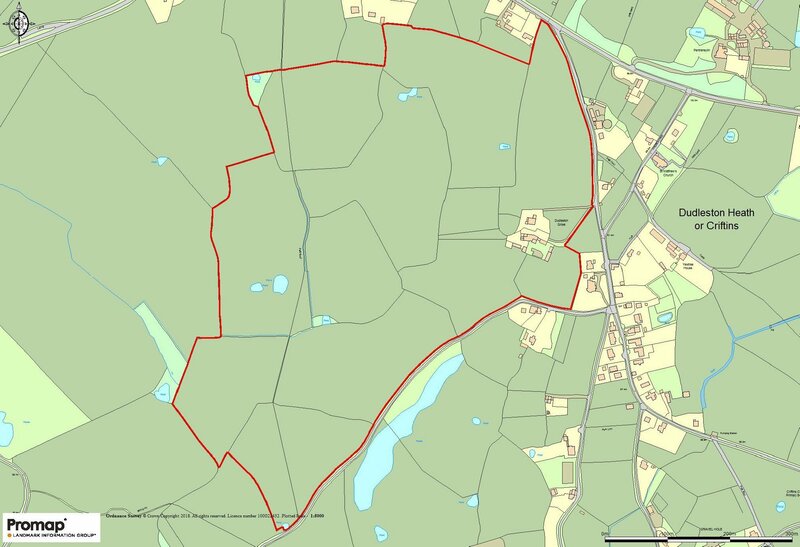 Further correspondence from Mark Perry, Senior Planner of Shropshire Council, confirmed that the works detailed does constitute the commencement of the development and that the Planning Permission numbered 08/02029/FUL has been secured'. A copy of the Planning Permission and Completion Certificate are available from the agents, if required. We understand that Dudleston Grove is of freehold tenure and vacant possession will be given on completion of the purchase. 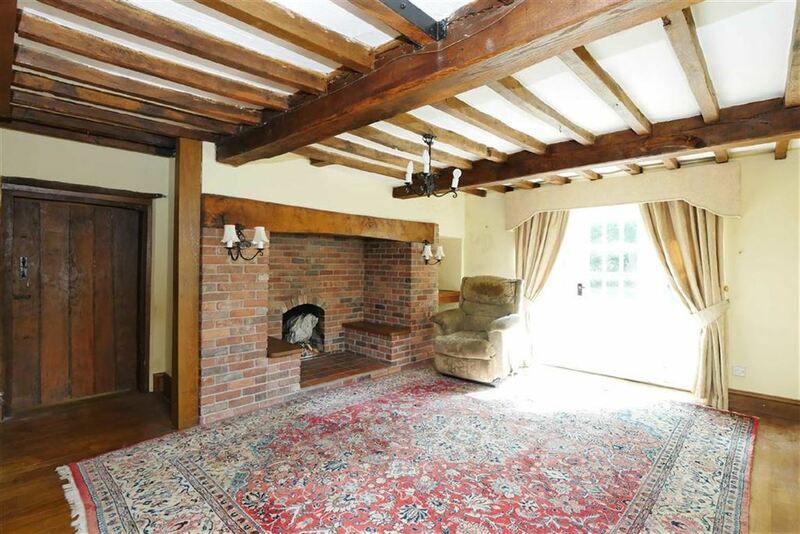 Dudleston Grove is to be offered for sale by private treaty, as a whole, or in lots. The Selling Agents, Halls, on behalf of the vendors, however, reserve the right to alter, divide, amalgamate or withdraw the property for sale at any time. The Selling Agents further reserve the right to sell the property without prior notice or explanation and no liability will be accepted to any intending purchaser in consequence of such a decision. We are informed the Dudleston Grove has a mains water and electricity supply. Drainage is to a private system. We understand that a British Gas supply pipe runs through the land from south to north. There is an oil fired central heating system.However, no services of any kind have been tested in any way. Severn Trent Water Limited, Shelton, Shrewsbury, Shropshire. D.E.F.R.A. North Mercia Regional Service Centre, Electra Way, Crewe Business Park, Crewe. Tel: 01270 754000. We understand that Dudleston Grove is in Council Tax Band F ' on the Shropshire Council register. The Holding Number is 35/156/0199. The SBI Number is 107693390. We understand that the Sporting Rights and Mineral Rights are in hand and will pass with the property. We understand the farm is registered for Basic Payment Scheme Entitlements and that the eligible area is 32.19 hectares. The payment for claim year 2017 was £7356.44. The purchasers will be required to ensure that they comply with the cross compliance requirements until December 2018 and indemnify the vendors for any losses they incur as a result of the purchasers failure to do so. The vendors will make their best endeavours to transfer an appropriate number of non SDA Entitlements to the purchasers, on completion of the purchase, subject to RPA approval. The purchaser (s) shall be deemed to have full knowledge of the boundaries and neither the vendor nor the agent will be responsible for defining the ownership of the boundary fences and hedges. The property notwithstanding any description contained within these particulars of sale, is sold subject to any development plan, tree preservation order, town planning scheme or agreement, resolution or notice, which may or may come to be in force and also subject to any Statutory Provision or Bye-Law, without obligation on the part of the vendor to specify.Fixtures & FittingsAll fitted carpets and curtains are included in the purchase price.ViewingsBy appointment through Halls, The Square, Ellesmere, Shropshire. Tel:(01691) 622602. The property will be sold subject to any wayleaves, public or private rights of ways, easements and covenants, and all outgoings whether mentioned in these sale particulars or not. All fitted carpets and curtains are included in the purchase price.